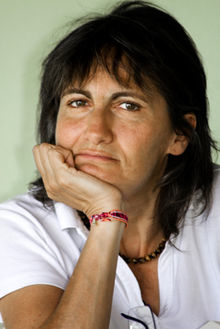 Antonietta Potente: ‘From the exile to the inclusion, from waiting to participation: a new approach for LGBT people’. Abstract: We read the long story of exclusion and the personal experience of those who dreamt of going through the cultural and religious barriers built by the collective understanding of gender. Today we walk on a path of redemption and dignity. Nevertheless, we are still in exile in the social and political environment where our faith is at stake and if we want to live by the freedom of speech. Antonietta Potente, theologian. Born near the Ligurian sea in 1958, antonietta, upon completing her studies, became a Dominican nun and embraced a nomadic spirituality, that she still follows. In 1989 she gained a PhD in Moral theology in Rome. She taught in Rome and Florence in several universities and centres for theological studies until 1993. Her theological work put her in contact with Africa and South America and pushed her to leave Italy. From 1994 to 2012 she lived in Bolivia where she taught at the university of Cochabamba and in other theological centres in South America. She helped the liberation process of the Bolivian people and of a few groups of women in the outskirts of the same city. Her theology established a daily dialogue with the local cultures breaking the classical patterns. Today she works with Italian universities. Her mystic-political passion prompts her to look for a practical theology which is not far from the reality, because theology cannot belong to a small entourage. She loves the art of writing and, from among her many works, we cite only the last two: ‘A fragile good: reflections on ethics’ (‘Un bene fragile: riflessioni sull’etica’. Mondadori 2011) and ‘Human more human’ (‘Umano più umano’, Le Piagge 2013).